Haydeé, an attorney and member of the National Academy of Arbitrators, is a full-time Labor and Employment Arbitrator with over twenty years of experience in labor-management relations. She has considerable experience in both the private and public sectors with issues relating to discharges, disciplinary matters, including violence in the workplace and drug and alcohol related misconduct, competency, discrimination, contract interpretation/application, management rights, past practice, subcontracting, bargaining units, and seniority rights. Additionally, during the last ten years, Haydeé has served as an arbitrator on numerous cases in the private as well as the public sector involving allegations of inappropriate touching and other forms of sexual misconduct by supervisors, teachers or by social service providers. She is member of the American Arbitration Association’s (“AAA”) Labor and Employment Panels of Arbitrators and the AAA Mediation Panel; the Federal Mediation and Conciliation Service; the New York City Office of Collective Bargaining; the New York State Public Employment Relations Board; New Jersey State Board of Mediation; the U.S. Virgin Islands, Public Employees Relations Board; the State of New York and the Public Employees Federation, AFL-CIO, Professional Scientific and Technical Services Unit, Disciplinary Panel; Local 342, UFCW, AFL-CIO and Various Employers; and the TWU, Local 100, AFL-CIO and NYC Bike Share, LLC. Haydeé is also a contract mediator for the U.S. Equal Employment Opportunity Commission, New York and Miami District Offices. Before establishing her practice, she worked for over fourteen years as an attorney at the National Labor Relations Board, Region 29. Until 2006, she worked for the New York City Department of Education, Office of Labor Relations, where she represented the agency in labor relations matters related to all collective bargaining agreements between the agency and numerous of labor organizations representing approximately 135,000 employees. 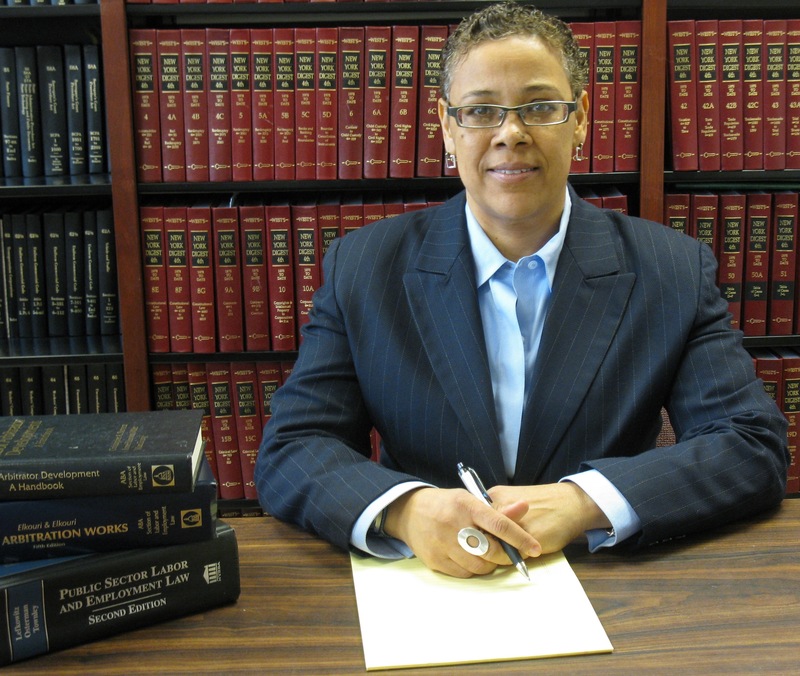 Haydeé is also a member of the Advisory Board and former President of the New York City Chapter of the Labor and Employment Relations Association (“LERA”), and a member of LERA, New Jersey Chapter. She also served as Co-Editor for the 2017 and 2018 Annual Proceedings of the National Academy of Arbitrators. Haydeé was born and raised in Rio Piedras, Puerto Rico. She was admitted to the New York Bar in 1991. She holds a BA in Cultural Anthropology from the University of Connecticut and J.D. from Queens College, CUNY Law School. As a bilingual arbitrator and mediator, she has an extensive experience with the needs of a diverse workforce in the U.S., Puerto Rico and U.S. Virgin Islands. As a third party neutral, Haydeé does not represent parties in any forum nor does she provide legal advice.